It’s no secret that I dine out A LOT. Let’s face it, somebody has to try all of the delicious things that Dallas has to offer, and it might as well be me, right? Although I do enjoy splurging, believe it or not, I actually try to keep my girlish figure intact and eat as healthy as possible while still sharing the good, the bad, and the absolutely insanely yummy food around town with you all. I know, I know – if you follow me on social media, that is tough to believe! Recently, I was made aware of SKINNYPIZZA, who just opened their first Texas location and I am HOOKED! 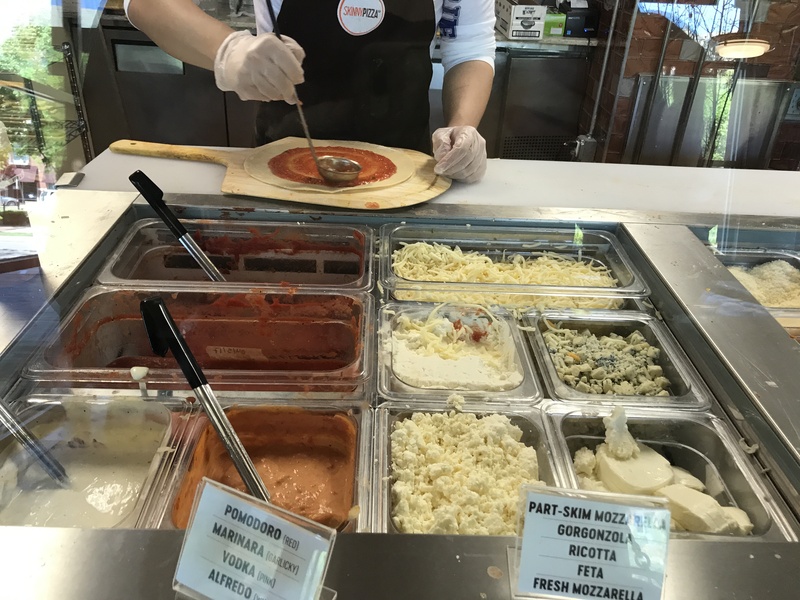 What makes SKINNYPIZZA different is that they have their very own, unique crust that is made with no preservatives or additives, the sauce they use is 100% organic, cheeses are all natural AND all of their toppings are antibiotic and hormone-free. For someone who could eat pizza every single day, this is important stuff! 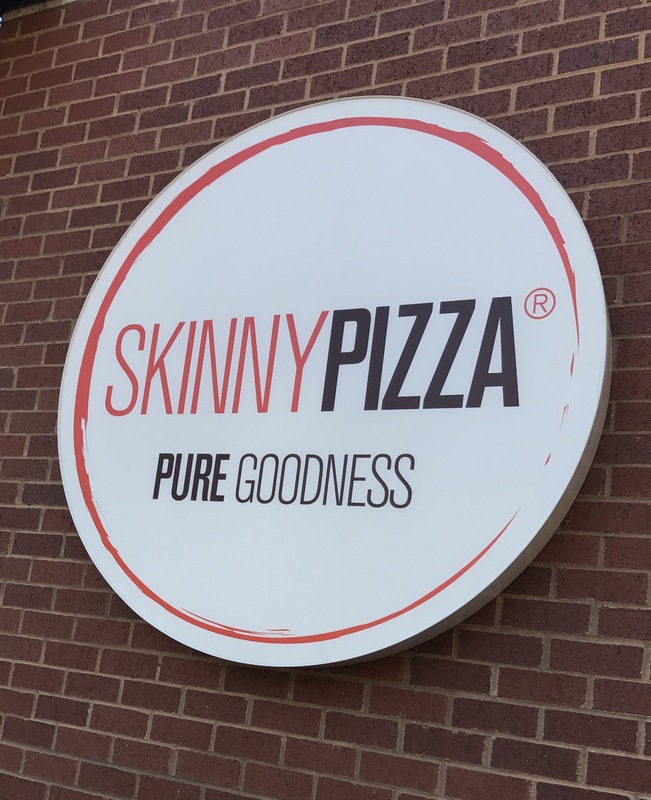 With a prime location in Addison Circle, SKINNYPIZZA is a fast-casual dining spot that is a great place to grab a bite no matter if you are in a rush to go back to work, have the kids with you or want to enjoy a live sports game. SKINNYPIZZA has several large TVs in the dining area and they also have beer and wine specials as well! There is a sprawling patio out front that overlooks the quad so it is a very pet-friendly spot, too. 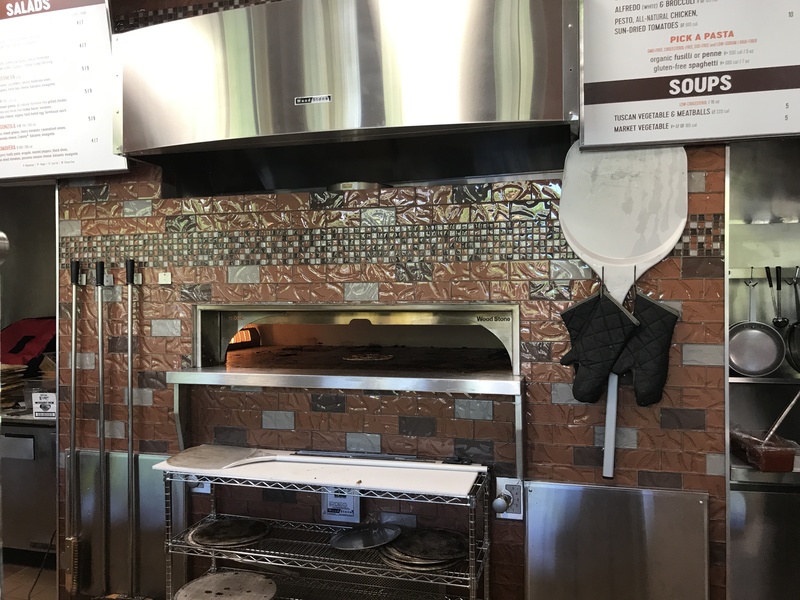 Thanks to their huge wood-burning oven, patrons don’t have to wait too long for their pizza to arrive to them piping hot. I went during a crazy busy lunch rush and still made it in and out in less than 15 minutes! 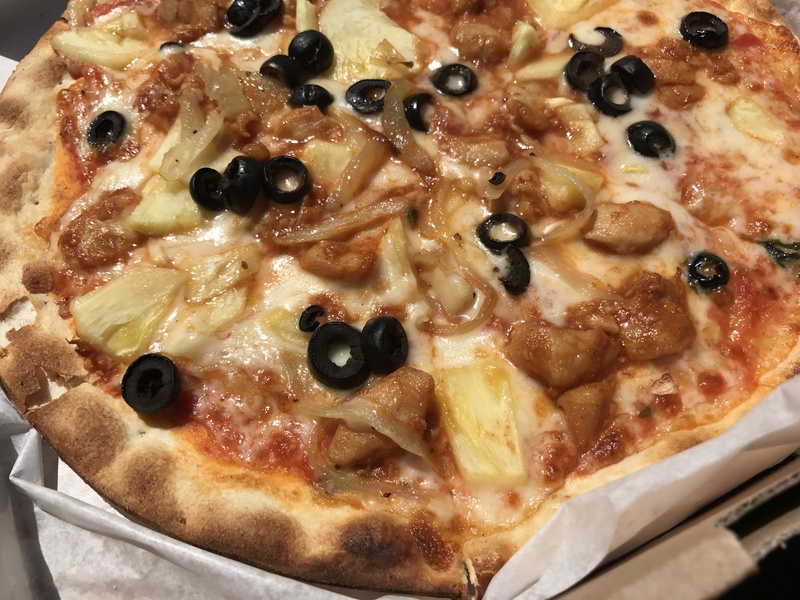 Whether you want to design your own, or go with one of their signature pizzas that are listed on the menu and come in all kinds of different variations, you really can’t go wrong. On top of, of course, pizza, SKINNYPIZZA also serves up salads, pastas, soups and piadas which I am yet to try for myself but I was stalking the man sitting next to me and he seemed to be thoroughly enjoying his pasta so…next time! Before you say anything, I LOVE PINEAPPLE ON MY PIZZA, ok? Glad we got that over with. I was so pleasantly surprised with the freshness, quality, and taste of my build-your-own pizza that I nearly burnt my tongue off trying to inhale it so quickly. Y’all know me, I can’t tolerate mediocre food and SKINNYPIZZA is anything but. The only piece of feedback I have for them is to build more stores around town so that everybody, no matter what area of town they live in can have a SKINNYPIZZA location easily accessible to them! Be sure to try it out for yourself and report back with any must-try combinations that you come up with, too!